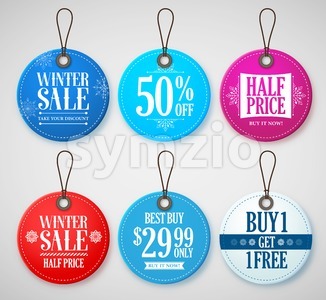 Winter sale vector banner design with blue sale text in white snow background for end of season shopping promotion. Vector illustration. This winter vector was design with rich in details which is well suited for winter and christmas related design projects for both web and print use.